The support pack allows you to print what you need, when you need it, for your entire class...forever! Picture cards getting old and in need of replacing? No problem, print a new set! Damaged/missing card? No problem, print a new one! Need mini cards for all the students in your class? No problem, print as many as you need! Need picture cards for your assistant teacher? No problem, print as many copies as you need! Wondering how to gesture that word? No problem, an easy-to-follow gesture guide is included. 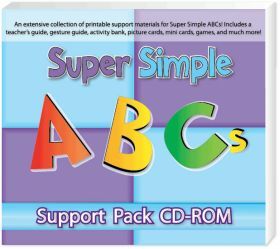 Need a quick ABC activity? Check the Activity Bank! 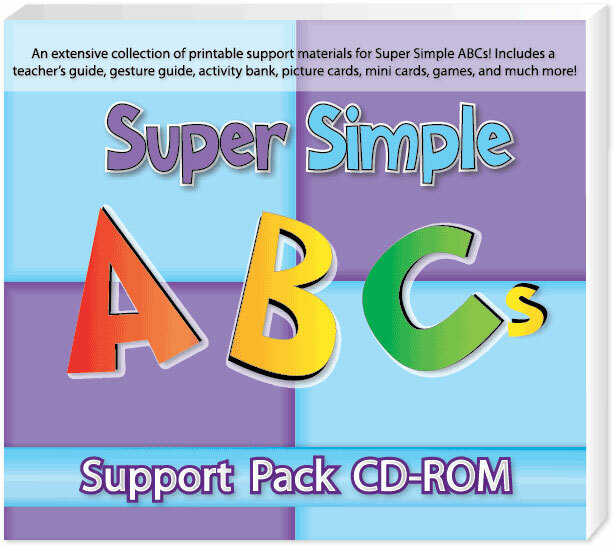 It's everything you need to introduce the ABCs to young learners in one CD-ROM!